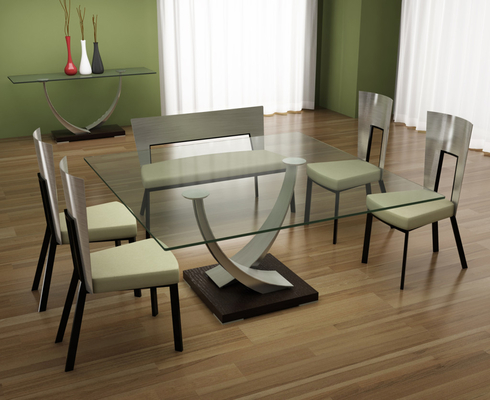 The commanding Tangent Square Dining Table will certainly be the center of attention in any room. 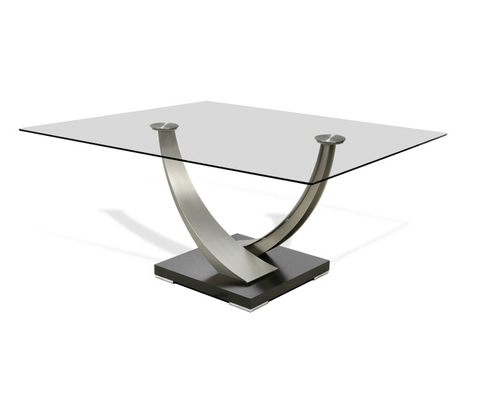 Shimmering Champagne-plated arms curve gently upwards, grasping solid stainless steel discs that are permanently bonded to the generous glass top. Understated feet lift the massive base from the floor, while providing an extra metallic accent.